Flinders University is advertising for a Professor of English Literary Studies. Although the body has preoccupied literary scholarship for some time, there has been a renewed attention in Romantic studies to the complex ways in which literature encodes and reproduces our awareness of embodied experience. Challenging views of Romanticism as bounded by visionary and idealist expression, such work reflects a reorientation of criticism around the materiality of Romantic culture, whether configured as part of the age of sensibility or in relation to the era’s natural and social sciences. The Romantic period was, moreover, a time when control of the body emerged as a key political issue in workshops, homes, battlefields and colonies, when bodies were subject to rapidly evolving ideas of gender, class and race, while new bodies of knowledge and corporate political bodies emerged to regulate the affairs of nations and empires. This was a period when bodies were subject to ever more intensive modes of analysis and management, at the same time that bodies imposed their transgressive physicality through new understandings of environments, vitalism, trauma, slavery, disease and taste. Attentive to such developments, Romantic studies in turn dovetails with a broader materialist emphasis that explores how bodies are shaped in relation to affect, biopolitics, speculative realism, post-humanism and eco-criticism. Alain Badiou has recently proposed that our modern, liberal ideology can today only perceive two objects: bodies and language. Aligning itself at the conjuncture of these two terms, this conference invites papers that broadly consider how embodiment was evoked, challenged and understood in Romantic cultural life. We invite proposals for 20-minute papers on any aspects of Romanticism and embodiment. Proposals may be for individual papers or for panels of 3-4 papers. 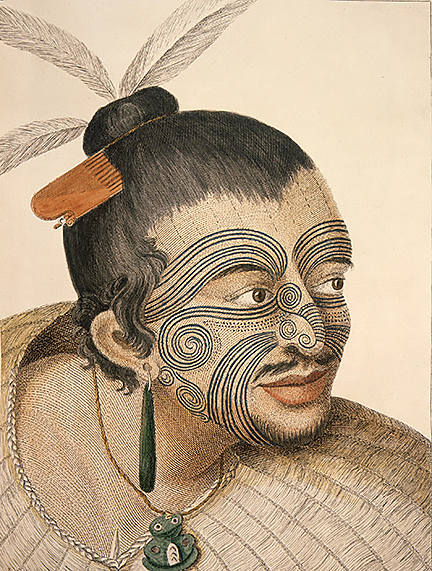 The editor of this special issue of ECF invites manuscripts that consider the roles and representations of Indigenous peoples from the Americas, Australia, and New Zealand during the long eighteenth century. In what ways did Indigenous peoples shape European literature and knowledge? How can we recover sites of agency and response, and how do we read alternative strategies of representation outside of the written word? How were European writers who encountered “Indians” and “savages” influenced by these exchanges? How was Indigenous material culture collected and understood by Europeans? This special issue seeks to bring the interdisciplinary approaches of Indigenous Studies to bear on the eighteenth century, and to continue the work of decolonizing the period as we know it. Deadline for manuscripts: 15 July 2019 (6,000–8,000 words). Publication of this special issue is proposed for autumn 2020. The special issue editor is Dr. Robbie Richardson, University of Kent. L’éditeur de ce numéro spécial (Dr. Robbie Richardson, University of Kent) recherche des articles concernant le rôle des peuples indigènes ou autochtones des deux Amériques, de l’Australie ou de la Nouvelle-Zélande dans l’évolution de la culture et pensée européennes (1660-1800). Il s’agit surtout d’approfondir les questions suivantes. De quelle(s) façon(s) les peuples indigènes ont-ils influé sur la vie littéraire et/ou scientifique de l’Europe des Lumières? Dans une perspective historique, est-il possible de reconstruire les conditions matérielles qui ont donné lieu aux multiples échanges entre Européens et indigènes? Dans le domaine littéraire, quelle influence a été exercée par les soi-disant “Indiens’” et “sauvages” rencontrés (ou imaginés) par divers auteurs européens de l’époque? Ce numéro spécial se propose deux buts: de (re)penser le Siècle des Lumières par le biais interdisciplinaire des études indigènes (Indigenous Studies); et de contribuer à “décoloniser” les recherches universitaires sur le dix-huitième siècle. La date limite est le 15 juillet 2019 (6 000 – 8 000 mots). La publication est proposée pour l’automne 2020. Hotel reservations at the Grand Hyatt Denver may be made directly with the hotel by visiting https://denver.grand.hyatt.com, which will take you to the Grand Hyatt – Denver’s splash page. Next, enter dates that you wish to stay. Then select “Special Rates” and click on “Corporate or Group Code” Enter Group Code: G-ASCS and then check availability. Online registration opens on Monday, December 3, 2018. An email with the online registration information will be sent to you once it is available. Please note: For your protection and security, we no longer process credit card payments through the ASECS Business Office. If you wish to pay by check, print out the registration form (https://drive.google.com/drive/folders/1ku3_8202GqrEoMVgshuqfWBtUM7zpBzs?usp=sharing) and mail it to the ASECS Business Office along with your payment. Remember: to appear in the Annual Meeting program, you must be a current member of ASECS or an ISECS-affiliate society as of December 1. You may join ASECS or renew your membership by visiting: https://asecs.press.jhu.edu/membership/join. The ASECS Business Office does not process membership payments, but if you have questions about your membership status, please do not hesitate to contact us. The ASECS Business Office will be closed for winter break from Thursday, December 20, 2019 until Wednesday, January 2, 2019. We will respond to voice mail messages in January. We will, however, check email occasionally, so as to assist you with questions about registration. We hope you are enjoying the end of the semester! Have a very happy new year, and we look forward to seeing you in Denver. The University of Queensland (UQ) Node of the Centre for the History of Emotions is inviting expressions of interest for three visiting fellowships, for a period of up to ten weeks, from early career researchers who are Australian nationals or permanent residents. Applicants should possess a PhD awarded within the past five years, and be based within the disciplines of either English Literature or Art History. They should be working on a topic in the history of emotions, broadly conceived. The Australian Research Council (ARC) Centre of Excellence for the History of Emotions (CHE) is a national humanities research initiative undertaken collaboratively across eight Australian universities. Established in 2011 by the ARC’s Centres of Excellence program, CHE has its headquarters at University of Western Australia, with research and outreach Nodes at the Universities of Queensland, Sydney, Melbourne, Adelaide, Macquarie University, University of New England and Western Sydney University. The Centre draws on the expertise of scholars in such diverse disciplines as social and political history, the history of ideas, literary criticism, art history and musicology. By studying earlier experience and culture, the Centre aims to produce a new, cross-disciplinary, and comprehensive understanding of the long history of emotions. The three UQ CHE Visiting Fellowships will be located within the University’s Institute for Advanced Studies in the Humanities (IASH) which will allow the opportunity for participation in the research activities of the Institute. IASH facilitates the deep and extended exploration of traditional humanities disciplines such as history, philosophy, and literature, while also developing the scope for further intersections with more recent developments in the humanities (for instance, cultural studies and communication) and significant applications of them in contemporary contexts (for example, science communication). Successful candidates will be required to be in residence during their tenure of the fellowship, which can be taken up within any consecutive ten-week period from February until July, 2019. They will be expected to present one academic seminar during the fellowship. Fellows will be assigned a working space and the use of UQ Library facilities. The fellowship includes a stipend of up to AUD10,000 to cover living expenses. Expressions of interest should include a one-to-two page cover letter outlining research interests; a one-to-two page research and writing plan for the fellowship, with details of publication goals; a CV (maximum five pages) with contact details of two referees; and a writing sample of approximately five thousand words. Please address the expressions of interest to Professor Peter Holbrook, Director of the UQ Node of CHE, at uqche@uq.edu.au. Applications must be received by Friday, 30 November 2018. Please direct all enquiries about the fellowships also to the UQ CHE email. Proposals are invited for the 2019 conference of the British Association for Romantic Studies, to be hosted by the School of English, University of Nottingham, from 25-28 July. Our theme is ‘Romantic Facts and Fantasies’. We look forward to welcoming you to the East Midlands, where the historic city of Nottingham is located among the heartlands of British Romanticism. Newstead Abbey was Byron’s ancestral home; Sherwood Forest was re-imagined as the meeting place of Richard I and Robin Hood in Scott’s Ivanhoe; and the Cromford Mills are a living monument to Richard Arkwright, whose inventive development of spinning mills and power looms was an integral strand of the Industrial Revolution. This conference will explore the potency of ‘fact’ and fantasy’ both in the Romantic period and during the afterlife of Romanticism. The aim is to develop a collective understanding of how Romantic ‘fact’ and ‘fantasy’ work together and against one another, and in so doing embody the spirit of an age whose inventions and innovations laid the foundations for modernity while simultaneously exulting the power of the imagination and its creations. Keynote speakers for Romantic Facts and Fantasies are Laura Mandell (Texas A&M), Robert Poole (UCLAN), Sharon Ruston (Lancaster), Diego Saglia (Parma), and Jane Stabler (St Andrews). Bicentenaries 1819-2019: The Peterloo Massacre; the ‘Six Acts’, the Carlsbad Decrees; the birth of Queen Victoria; Stamford Raffles and the foundation of Singapore; Simon Bolivar’s victory at Boyacá; the Panic of 1819; the opening of the Burlington Arcade, London; the Cotton Mills Act; the death of James Watt; Keats’s odes; Scott’s Ivanhoe, Bride of Lammermoor, and A Legend of Montrose; the final volume of Southey’s History of Brazil; Blake’s ‘Ghost of a Flea’ (1819/20). Factual and fantastical encounters and dialogues: travel narratives; poetry of encounter; translations; colonial discourses; geologies, geographies and aesthetics of landscape; rivers, canals, bridges and roads in material, commercial and imaginative landscapes. Facts and fantasies of collective and individual identity: Romantic provincialism (the Lunar Society, the Lake School); national identity and ideas of the state; religion; ethnography; Romantic life writing and autobiography; Romantic-period economics, consumerism, industry and agriculture; Romantic facts and fantasies of childhood; Romantic experiments in education; Rousseauism. The scientific imaginary: Mary and Percy Shelley; Humphry Davy, poet and scientist; the development and legacies of Romantic science fiction; Erasmus Darwin, the Lunar Society and Joseph Wright of Derby; Malthus and Malthusianism. Imagining the Romantic world: Keats’s ‘living year’; plagiarism and originality; the professional imagination in Keats, Davy, Blake, Caroline Herschel and William Herschel; pedagogic and didactic poetry, prose and drama; histories and history-writing, including the emergence of national histories; paintings, sculptures and music commemorating the events and ‘heroes’ of the Napoleonic wars, politics, industry and culture; architecture and Romantic fantasy (eg. Walter Scott’s Abbotsford, William Beckford’s Fonthill Abbey, and Joseph Gandy’s visualisations of the Bank of England and other buildings by John Soane); Romantic book illustration and developments in the technology of print. Individual 20 minute papers. Abstracts of no more than 250 words (excluding the title). Please include your name and institutional affiliation (if applicable). Panels of either three 20 minute papers or four 15 minute papers. Please include an abstract of the panel theme, together with 250-word (excluding the title) proposals from each of the speakers, in a single document. Open-call sessions. Proposals should include a 350-word (excluding the title) description of the potential session, outlining its importance and relevance to the conference theme. Accepted open-call sessions will be advertised on the BARS 2019 website from mid-November 2018. The deadline for proposals for open-call sessions is Thursday 22 November 2018. The deadline for submissions of panels and individual papers is Monday 17 December 2018. Please email proposals to bars2019@nottingham.ac.uk. The Lewis Walpole Library , a department of Yale University Library, funds four-week visiting fellowships and two-week travel grants to support research in the Library’s rich collections of eighteenth-century materials (mainly British). In addition, the Library administers two jointly funded residential fellowships: The LWL / ASECS Library Fellowship is awarded to an ASECS member in good standing for up to four weeks of research at the Lewis Walpole Library, and The LWL / Beinecke Rare Book and Manuscript Library Fellowship is awarded to support up to eight weeks of research in the collections of both libraries. Scholars pursuing postdoctoral or advanced research, as well as doctoral candidates at work on a dissertation, are encouraged to apply. The fellowship year runs from July 1, 2019, through June 30, 2020, and all fellowships must be completed within the fellowship year. 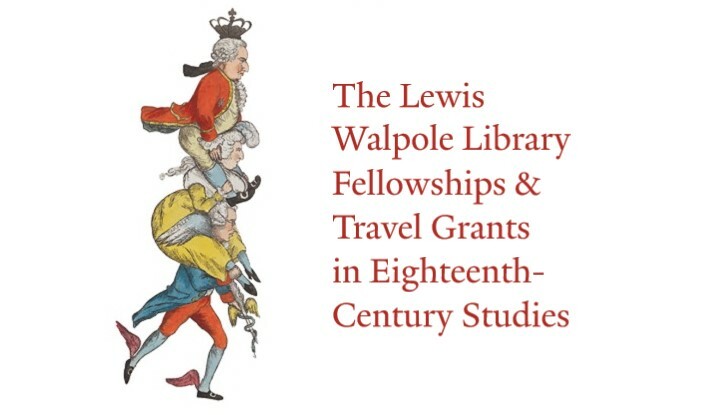 All fellowship recipients are expected to be in residence at the Library, to be free of other significant professional obligations during their stay, and to focus their research substantially on the Lewis Walpole Library’s collections. Fellowship recipients also have access to additional resources at Yale, including those in the Sterling Memorial Library, the Beinecke Rare Book and Manuscript Library, and the Yale Center for British Art. Application materials must be submitted directly through the listing in the Yale Grants Database. Search for Visiting Fellowships Lewis Walpole. Please note you will need to login to access the application form. Decisions are based on a number of factors, including the merits of the project and fit with the collections. Applications for 2019-2020 will be accepted beginning Monday, November 5, 2018, and the application deadline is Monday, January 7, 2019. ASECS is proud to announce the establishment of the Non-Tenure Track Faculty (NTTF) Fund, an endowment that will provide travel assistance to non-tenure track faculty presenting their research at the Annual Meeting. At the 50th Annual Meeting in Denver, 21-23 March 2019, up to four inaugural NTTF grants of $500 each will be awarded, along with waiver of registration fees. In order to be eligible for the NTTF Award, the applicant must be a current member of ASECS who teaches part-time or who teaches full time but not in a tenure-track line. Those paying Graduate Student or Emeriti/ae Faculty Membership Rates are not eligible. In order to apply for the NTTF award, send the name of the Annual Meeting panel(s) on which you will be speaking and your abstract(s) to the Business Office (asecsoffice@gmail.com) by 1 November 2018. Please include “NTTF Fund Application” in the subject line of your email. If you have any questions, please contact the ASECS Business Office. Johan Joseph Zoffany (1733–1810). The Sharp Family of Durham on the Thames at Fulham. 1779-81, oil on canvas, The National Portrait Gallery, London. This may interest postgraduate members. We are writing to encourage graduate students and graduate student mentors to apply for support to attend the 50th annual meeting of ASECS in March 2019. The Traveling Jam Pot is supported by annual contributions from ASECS members, which are matched by ASECS; the size of the Jam Pot determines the number of awards available each year. In order to be eligible for the Traveling Jam Pot, applicants must be ABD or within one year of receipt of the doctoral degree, and must be current members of ASECS. Runners-up for Jam Pot awards will be considered for a Sponsored 2019-2020 ASECS Membership; no separate application is required. The Sponsor a Student program is supported the generous donations of ASECS members.